Calcium & Magnesium Benefits and 17 Signs to Watch Deficiencies. We have always been told that calcium is necessary for the formation of robust and perfect bones. The media have informed us to the point of boredom about how important calcium is to have a bone system in good condition. But recent research points in another direction because Magnesium is the one that is fundamental to your skeletal system. 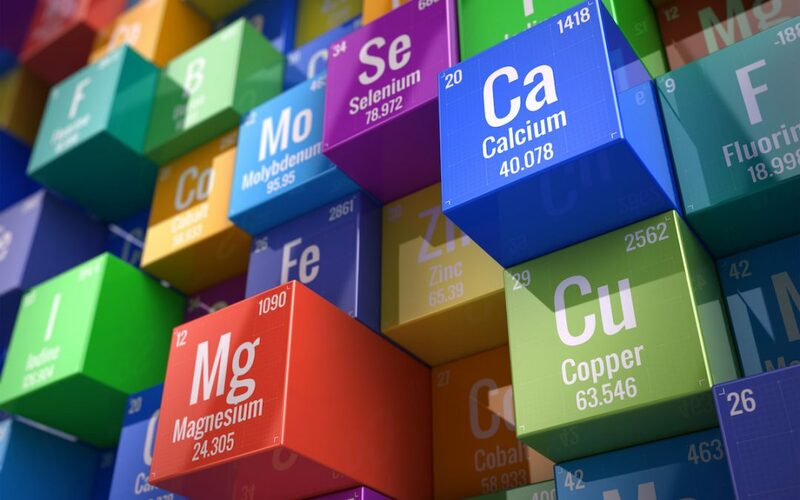 The Academic Society of Pediatrics (PAS) of the United States in a recent study found that the key to the development of healthy bones during childhood was a consumption of magnesium and not just calcium. But after so many years there has been a continuous promotion by the media and other academic sources, on the consumption of calcium in food supplements or added in drinks and food, to have strong bones and teeth. Now it has begun to question its effectiveness. It is easy to realize that basically the dairy industry believes that belief based on repetition year after year, for decades. Giving rise to the total conviction, in the whole population, about the consumption of milk and cheese to have enough calcium. Well let me tell you that it is a false fact. Pasteurization only provides calcium carbonate and it has no way of entering the cells without a chelating agent. Our body, in order to balance this calcium carbonate in the blood, must take calcium from our bones and tissues. This process is presumably responsible for the appearance of Osteoporosis (reduction in the density of bones) data to be taken into account. In other words, if the milk is pasteurized it is not good for our body. FACT: You knew that a consumption of 100 grams of magnesium per day, increases bone mineral density (BMD) by 2%. There are innumerable studies conducted on calcium and magnesium. Professor Steven Abrams, of the College of Medicine in Houston, Texas, USA after a study on both minerals, concluded with an unexpected statement in the medical society. He said that the increase in the consumption of magnesium at early ages, that is to say during childhood, is key for a correct development and conservation of bone density. However, with regard to calcium, I made it clear that its consumption could not be related to a bone improvement. It should be noted, according to Professor Abrams, that despite the foregoing, this does not mean that calcium is not important. But it is magnesium that has a greater presence when it comes to having healthy bones. The current situation is complicated because, as we know, we have been taught for decades about the importance of a calcium-rich diet since childhood. And our parents only received that part of the information, leaving out other minerals such as magnesium, which is essential in bone development in children. 1.- The consumption of pasteurized products leads to a process of disqualification. 2 .- It creates a lack or loss from childhood in the intake of magnesium. These two facts are directly responsible for the significant increase in cases with low bone mineral density according to the aforementioned studies. This of course translates into bone fractures. To support this data, I am going to refer to a report by Dr. Catheryn M Radyder, University of Tennessee, Memphis. This report explains and shows how the gradual increase in magnesium consumption leads to improvements in bone density, which, according to the doctor, plays an important role in metabolizing calcium and obtaining greater bone strength. The fact of applying these data to the diet from very young children would reduce the current indices of low bone density and would contribute, of course, to improving public health. Magnesium: a supplement to take into account. The foods with a great contribution of magnesium that we must incorporate in our daily diet are: nuts, all green leafy vegetables, seeds and cocoa among some. But to reach the recommended amount of 350-400 milligrams we must include some supplement or nutraceutical. Magnesium chloride and chelated magnesium are the most recommended. My advice is to take a supplement that integrates the 74 minerals that our body requires. Do you want to know if you need magnesium? Degeneration of cartilage and the appearance of diseases such as osteoarthritis and joint pain. Muscle discomfort such as cramps, contractures, tingling, numbness, tremors. Tachycardia, abnormal rhythms of the heart and coronary spasms. Headaches and jaws due to tensions. Spasms in the eyelids, esophagus, stomach or intestine. Photophobia, difficulty adapting to light, vision of little lights with closed eyes. Tiredness in the morning upon awakening, fatigue, weakness. Oppression in the chest and difficulty in breathing deeply. Difficulty swallowing or feeling of lump in the throat. Desires to consume salt and chocolate. Alterations of the nervous system: insomnia, anxiety, hyperactivity, restlessness, panic attacks, phobias. The fact of having at least two of these symptoms advises some magnesium supplement and we will notice the improvement. In NUTRACEUTIS we have magnesium and the rest of the 73 minerals necessary for life in these two formulas: Alkimia and Moshi-Moshi. A bath of Epsom salts, which contains magnesium sulfate, is perfect for people with magnesium deficiency, it is absorbed through the skin and replenishes reserves of magnesium.